Advanced training for more experienced skippers, building on the Day Skipper course. This course allows some time for revision of the basics and then moves on to advanced navigation techniques. It will equip you to navigate safely on coastal and offshore passages and will take your theory knowledge to the standard required for the Yachtmaster practical exams, concentrating on advanced navigation and meteorology skills. Students from the southern hemisphere will use the southern hemisphere version of our training materials, ensuring that your course is relevant to you. This 7 day, shore-based course includes 40 hours of tuition and three final assessment papers. 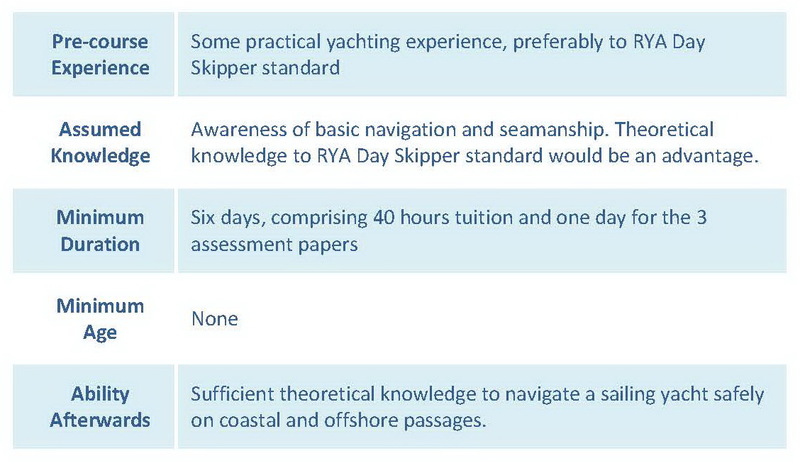 It can be conducted as part of a two week, combined theory and practical, Coastal Skipper course that has both onshore & offshore elements. 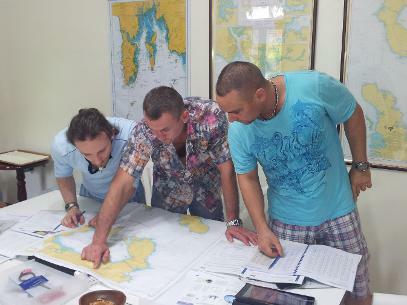 It can also be taken as part of a two week, combined theory and practical, Yachtmaster exam preparation course.